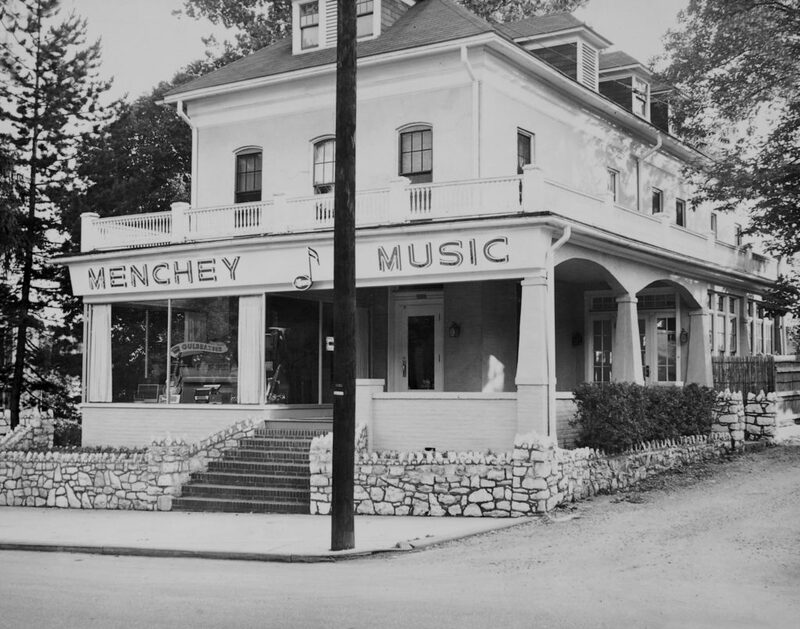 Menchey Music Service, Inc. was founded by J. Robert Menchey in Hanover, Pennsylvania in 1936. This sole proprietorship began when twenty-year-old Mr. Menchey sold a saxophone for a $10 profit. With his earnings, he purchased sheet music and accessories to start his business. The enterprise later moved from his mother’s sewing room to a small shop on York Street, and Mr. Menchey soon began an outside school service music program to assist music programs in Pennsylvania and Maryland. In 1995, Bob’s grandson Joel Menchey purchased the business and continues to manage it today. In 2017 Menchey Music headquarters moved to a state of the art office and warehouse building located at 9 Barnhart Drive in Hanover bringing all corporate activities under one roof. This new Operations & Educator Center also houses an educational print music department and full service repair department. Today, MMS is a full service school music dealer focused on serving beginning music students, music educators, and supporting school music programs. We currently have 8 retail locations and an affiliate network of 9 independently owned music dealers who rent Menchey Band and Orchestral instruments. 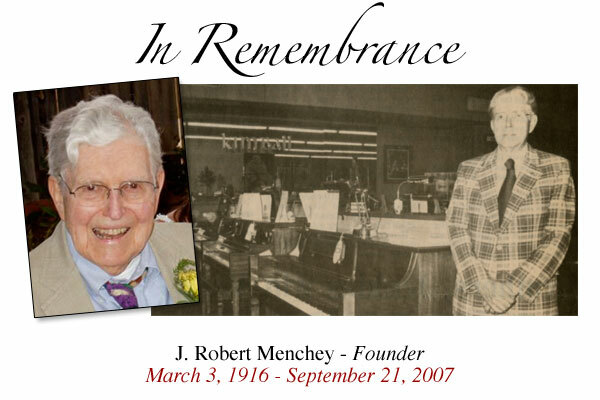 J. Robert (Bob) Menchey, founder of Menchey Music Service in 1936, passed away on Friday September 21, 2007 at the age of 91. He founded Menchey Music Service in his mother’s sewing room in Hanover. By the time he retired in 1982, Menchey Music had grown to be the premier full-service school music and piano dealer serving Central Pennsylvania and Northern Maryland. Earlier in his life, Bob directed several music groups, including the POS of A Band, Hanover, the Taneytown Band, and the Jefferson Choir. He was an accomplished trombonist who played in the York Symphony. He also served as a board member of the National Association of Music Merchants. Committed to music education his entire life, Bob was a passionate and inspirational leader during his career at Menchey Music Service. The example he set and his standards for customer service have made Menchey Music what it is today. We will miss him dearly.